David Loiseau, a long-time sales and marketing professional of various leading hotel companies, has been named as CEO to Meeting Point Emirates. The leading Dubai-based DMC company has ambitious development plans that Loiseau will take forward. The French 20-year tourism industry proficient was chosen to take the helm of this important Meeting Point International company due to his notable background. Loiseau, has also a deep knowledge of the UAE and its tourism source markets. Loiseau has worked for several international hotel chains, developing and leading their sales and marketing strategies and teams into success , including Marriot Hotels International, Mandarin Oriental Group and Jumeirah Hotels & Resorts. Europe, Asia and the Middle East are all markets where he has vast professional experience. Loiseau has had lots of experience as a manager of established companies. However, he has also acted like an “intrapreneur.” While serving as Asia-Pacific Vice-President of Sales & Marketing for the Jumeirah Group, Loiseau successfully opened several regional sales offices, including those of Japan, China and Australia. This pioneer mentality was also among the many reasons Loiseau was picked to head Meeting Point Emirates during this important business life cycle phase. Meeting Point International based in Munich, Germany, recognized the major potential of the UAE destination for the German speaking market back in 2009 when it inaugurated the first DMC that developed into a global network of more than 40 destinations in 20 countries. Meeting Point International had since grown to a world-wide operating company that encompasses several tourism companies such as Youtravel, a bedbank by MPI, Meeting Point Global, offering dynamic content, Project Beagle, a software development company focused on developing state-of-the-art automation in the tourism industry and MP Hotels, a fast growing hotel group of more than 60 hotels in 10 countries that includes LABRANDA Hotels & Resorts and Design Plus Hotels. It offers clients dedicated resources, customized content, financial stability and state-of-the-art travel technology. The company’s philosophy of always putting people and growth at its center was the driving force to its success. Meeting Point International had a record year in 2017 reaching over 4.1 million guests in 44 destinations from over 20 source markets. content consisting of a portfolio of more than 1000 hotels, dynamic content via Meeting Point Global and unique Time-To-Market products. Our unique structure offers our partners a dedicated experienced team of Key Account Managers that supports every business model, XML Interface, extranet feeding and B2B booking engine. 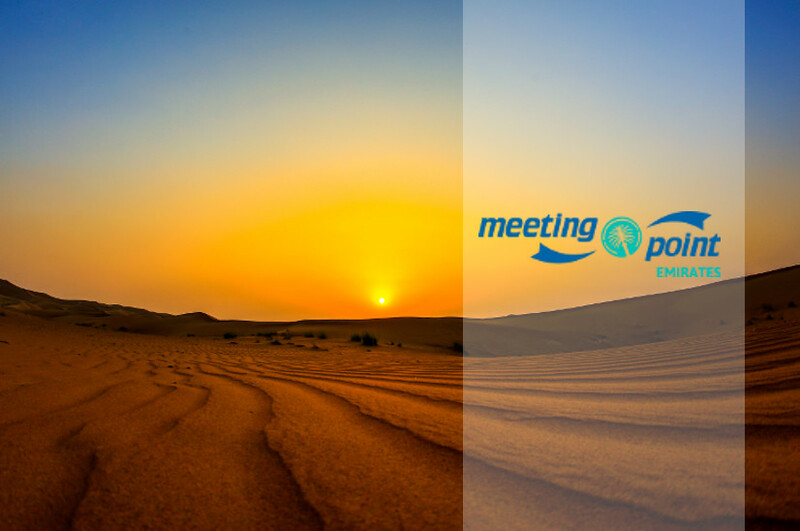 With an ever growing database, Meeting Point Emirates is now recognized as a leading B2B service provider of incoming travel services for travel professionals worldwide.